Hidden Expedition ®: Titanic is rated 3.6 out of 5 by 45. Rated 5 out of 5 by bubble7777777777 from titanic hidden expedition this is a fun game i have told 13 friends about it i got on to level 5 just in one hour !!!!!!!! if you like hisstory then you will love this!!!!!!!! Rated 5 out of 5 by kat_fur54 from A Great Classic + Must Have Collector Game for HOGers Too short only because its great! Rated 5 out of 5 by sparrow1974 from SWEEEET! I actually purchased this game a while back ago and thoroughly enjoyed it. But I have gotten a different laptop since then. So I am currently installing it again. (I am grateful that we can install them over and over once we purchase them!) I enjoyed it. The scenes were clear and beautiful. The jewels were nice. I wanted to be the diver...haha. I recommend this game for anyone who appreciates beauty and a relaxing game that won't drive you crazy. Thank you BFG! Rated 5 out of 5 by SEXYREDDDDD from search of the titanic it was great totally awesome it was very intersting to play an find the objects some were easy some wasnt . its a great game to play even my kids play it . Rated 5 out of 5 by mspaws from For HO fans! If you are a HO fan this is the game for you! Lots of places to explore. Relaxing game, fun to play and hours of game time! 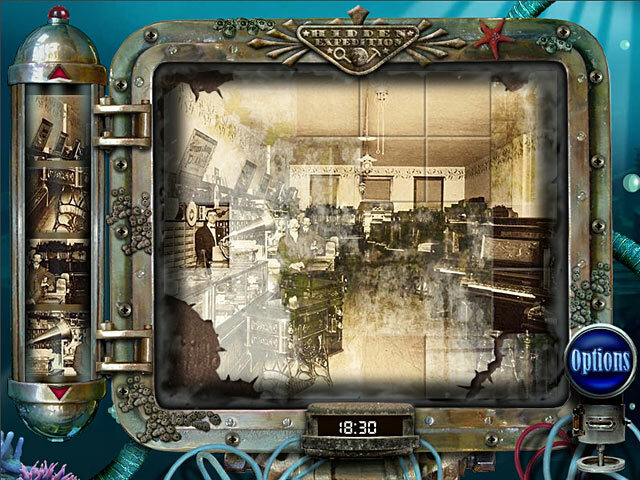 Rated 4 out of 5 by Suelovesgames from Hidden Expedition: Titanic This is a straight forward hidden object game, with usually a jigsaw type puzzle to do at the end of each chapter. There is no skip button and it is also timed, so quite challenging in that aspect. In fact the whole game is timed, so it's not exactly relaxing but the good news is, you can start each chapter afresh and you will most likely do better the second time round, as you remember where the objects are hidden. I like it because it's quirky and old school, especially in its graphics. The graphcs aren't too hot but I like them and I like the gameplay. It has a great atmosphere and I love the music, which is very memorable,catchy and sort of haunting and sinister. It does after all, relate to a horrible real life tragedy from the past, where many people lost their lives. What makes this game challenging and exciting is, you are underwater, so every time you use a hint, you lose some oxygen (time).I found I played a chapter many times because objects weren't easy to find and because hints are essentially limited. I would have to start over. When it wasn't frustrating, it was fun! You will always progress and gain more time each time, as you learn where everything is. The objects are quite difficult to find, sometimes ridiculously so. They are blended into the background, as was the habit/method of hiding objects in the older games. It's bad enough that it's timed, but when you use a hint, you lose even more time! You do need a bit of patience for this one but I really liked it nevertheless. Rated 4 out of 5 by DrewWithDreams from My First Big Fish Game! I just recently found out about Big Fish Games...and this was the first game that I decided to purchase from them. I beat it within a 24 hour period...and loved it! 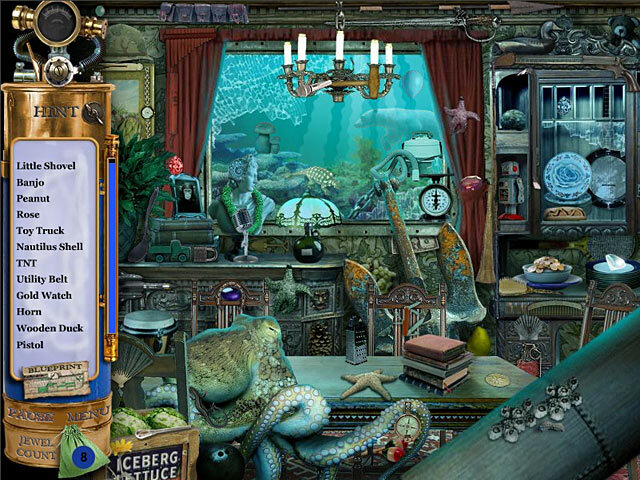 I had played a few other hidden mystery object games, but nothing like this. It was really fun, but I'm also looking forward to visual/sound enhancements of the games as I work through the series. As far as a challenge goes...Some of the items are super tough to find. Some are super easy...it balanced out to an enjoyable time. The story line was awesome...I love how you are a diver and you are timed with air in a scuba tank. Be careful when clicking for hints! Rated 4 out of 5 by DEEBEE49 from Pure Hidden Object Game - Fairly Basic There is basically no story to follow in this game. You are given a certain amount of time to find the hidden objects. If all you are looking for is a hidden object game and not much else, this is the game for you. I would recommend this game for HOG beginners, and for kids. Each scene contains 5 jewels, which you can look for in addition to the listed objects. However, if you find all the objects first, that's it -- they don't let you stay (or go back) to get all the jewels. My main criticisms of the game are: 1. There doesn't seem to be much point to collecting the jewels. You don't get anything more if you collect them or not. 2. The "fun facts" regarding the Titanic are repeated several times. It would have been better if it were a different fact presented each time. 3. You cannot go back or switch between levels. The designers may have made it this way on purpose. But that means you are stuck with each level until you clear it. 4. You cannot wander around the ship or explore the environment at all. In sum: a good basic game for beginners and kids. Very basic, but essentially entertaining, hidden object game. Rated 4 out of 5 by AverageSizeFish from Really fun game The graphics and sound were fine even though this game is an older game. Game play consists completely of HOS and puzzles which I liked since it meant there was no running around trying to find the HOS and puzzles. It is definitely a game worth replaying since each scene has so many items to find. The HOS almost all contain several objects which it's a bit of a challenge to find. The HOS are also timed which I like but would also like the option of an untimed mode. Overall just a really fun game focused solely on HOS and puzzles. It's a very nice break from some of the more ridiculous contortions that the HOP + adventure games put you through to get to the fun parts of the game. You will definitely not be running around wondering what to do or performing ridiculous tasks to progress through this game. Rated 4 out of 5 by snoopster from could be a great game I find it very frustrating when you miss out on an object in the second part of the dive you have to do both rooms again and then the part you lost on. I will not buy this game as there are many more hidden object games that are more fun to play. Rated 4 out of 5 by neilskinut from just a good HO game I played years ago and never rated it. It is your older HOS games. No real adventure of story to it just find items and go on to the next screen. Good fun play. Good practice. Rated 4 out of 5 by reneemaas from Really fun HO game! This was one of the first Hidden Object games that I ever played. It is an older game but it's still a good one. If you are an expert at HO games, then you will be bored, but this is just right for beginners. Cons: The graphics are older so they aren't as great as games currently out there. There really isn't a story line persay. But there is little tidbits of Titanic trivia that I DID enjoy. Sometimes you have to click a couple of times for it to "find" the object. I swear sometimes not all 5 jewels show up in each scene. This is just kinda annoying especially if you are a player like me who likes a "perfect" score. However, if I exit and then go back in usually it resets the problem. No high score list (I like to replay and "beat" my scores) Either way it does have replay value and I can play it with my kids! It was a great start to the Hidden Expedition series! Rated 4 out of 5 by AutismMom00 from One of the first games I bought I did like the game a lot. I liked the graphics, it was a good game to really get my feet wet (ha ha) and to learn how to hunt in HOG's. One of the few things I did not like about the game was once I went back to a room, if I had an item on the list before, it was still in the same place. I wish they'd have moved the items. Another thing I did not like was putting the pictures together. I had trouble seeing some of the pieces both the torn pieces and the actual picture, some parts were so faded... I have not played this game in a long time. I will let my two autistic kids play, though. I think my daughter will really like it. There are some facts about the Titanic, too. I liked that. This IS a kid-friendly game, so that is another plus. I do have some games that are definitely NOT kid friendly. (Very dark storyline, or extremely graphic pics...thinking of Ravenhurst here) But, yes, a good game for everyone. Rated 4 out of 5 by Sunflower_boy from A HOG with depth I liked the idea of searching the greatest ship of all time and this game provided me with the opportunity to do so. The aquatic and maritime environments were very vividly and imaginatively created and the pulsing soundtrack helped tie the whole under-water feel together. Not an especially tough game but with hours of fun game play and some difficult-to-find objects I would certainly play this game again in future. Rated 3 out of 5 by lizhger from Not worth it I know this is an older game, but I tried it because of the subject matter. I am not usually a hidden object game player but I did try this one. The searches are repetitive, items in same place and scenes used repeatedly. Not much of a challenge even for someone who doesn't play often and the music was annoying. Rated 3 out of 5 by JulzCat from A Lackluster Beginning To A Great Series I've heard such great things about this series, I knew I had to play it. Since I always start from the beginning, I had to begin with this one, and BOY was it tedious! "Copyright 2006" says it all. It's amazing to see how far technology and computer graphics have come since then! The only animation to the game was the same two fish swimming back and forth. What really drove me crazy were the time limits. When you run out of time, you have to begin the whole series of rooms over again. If you click incorrectly, you lose time. If you use a hint, you lose time. I thought it would be cool to collect gems, but it turned out to be a disappointment because you couldn't use them to purchase or improve anything. Also, the "fun facts" that you usually get with Titanic games turned out to be the same 5 or 6 facts repeated over and over again. I suppose it's fine if you just want a simple, old-school HO game, but it really wasn't my cup of tea. Rated 3 out of 5 by bep1 from Average Hidden Object Game I didn't really enjoy this hidden object game, as it was so hard to find the objects before your time runs out. And when you use a hint, it decreases your time, also. But I finally finished it. I did enjoy finding the 5 gems in each scene, though. But it is a decent game if you like them hard. Rated 3 out of 5 by oldladyplaying from They lied! It IS timed! Don't like to be timed, so I clicked on the non-timed, easy-does-it one, but "died" on one scene as I "ran out of oxygen." Give me a break. It's not a particularly compelling story line & mostly just junk pile HOs. However, the scenery is quite good, so I'll give it that. Rated 3 out of 5 by gamefan10 from Not enough time to play I'm not a big fan of timed games, and this one kept the tension so high that I really didn't enjoy playing it. It starts off fairly slowly, but as the game progresses you have more to do and the time you're given decreases, so it's very tense. You're supposed to find lots of hidden objects in various scenes from the Titanic. The hint system is good, and you can also get a little extra time by finding a few air tanks. Besides HO's you need to look for gems, which you can use for some extras. Since the gems didn't buy you that much, I stopped looking for them because there wasn't enough time. If you don't mind playing under pressure, this would be a good game. Because I don't like it, I don't recommend this game. Too bad they didn't include a choice about whether to play timed or untimed. Rated 3 out of 5 by JustTheFacts from 7 Years Old & Still Playable! BASED ON DEMO It is true you would want to be on a small monitor or a tablet when playing this game if you wanted to enjoy it, otherwise the graphics are just so awful it is uncomfortable just to look at them. But I can imagine people in supermarket queues with their trusty smart phone trawling through the underwater wonderland that is the sunken ship Titanic. This first game in the series was an eye-opener for me, having just come away from reviewing the sixth. Those characteristic that made that game remarkable are evident here, in the very beginning. It was great fun just to see such fidelity to the original concepts. So what are these characteristics? 1. The first is rollicking good Indiana Jones style adventure, searching for treasure. 2. Combining game play with factual information, about the Titanic in this case. 3. Multiple styles of HOPs. Here we have silhouettes, multiples of and word list. 4. A couple of collectibles – gems and oxygen tanks for hints. 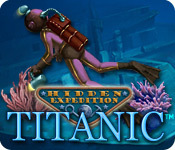 This game is timed, although you have plenty of latitude – great when all the action is dives to the sunken state rooms. I particularly liked the balloons sent up with each item found, and the bubbles when you hit a wrong item. I can’t really recommend this game except as a curio or part of the whole set, because the look feel and gameplay are very out of date and unsophisticated – by today’s standards. But it is a little gem. Rated 3 out of 5 by Boomer1097 from So-So Game I really should have downloaded the trial before I purchased this game. The graphics were good, but the music was so annoying I turned off the speakers. The worst part of the game for me was the time component and how you lost oxygen if you used the hint button or mis-clicked. Also, with each successive dive, you have less time and more locations. I play games for fun and to relax. This game was most definitely not relaxing. Rated 2 out of 5 by cowclaudia from A pain from the word go Altho I have an expert rating I normally play a game in untimed mode until I get the feel of it. This game has no untimed and the time allotted for each level doesn't adjust each scene - whatever time you use up is deducted and the next scene has what's left which considering how hard it is to see half of these objects is a deterrent IMHO to enjoying the game. Object is to find the HO's in each scene along with gems to fill up your hint store. HO's are in some cases again so hard to see you practically go blind. After each level there's a puzzle to complete which for the most part isn't particularly hard just time consuming. Doubt this is a game I'll replay over and over like I do with the majority of my games. Enjoyment factor in this game is little to none. Rated 2 out of 5 by mharrsch from Just same HO scenes over and over again I'm a bit confused. The Hidden Expedition Titanic I downloaded and played had only two scenes, the dining room and the deck and none of the objects except the jewels changed within a scene. Believe me, after finding the objects over and over again I got really fast and made sure I found all the jewels first to get that out of the way each time. I kept thinking there would be something more but I played the same scenes again and again and again and nothing different ever happened. One of the other reviewers mentioned a minigame but I never saw anything like that. It was so repetitive I saw the same Titanic facts over and over again too. I felt like I was on an unending treadmill so I finally just stopped and uninstalled the game. Maybe I downloaded an older version than the one available now??? Rated 2 out of 5 by Galaxiana from Save Your Money I bought this game because I very much enjoyed its sister game, "Hidden Expedition: Smithsonian Hope Diamond." Usually, games within these series are pretty similar to each other, with similar quality. Well, that is not the case with the Hidden Expedition series, I guess, because this game all-but-sucked. The game-play, which is mostly based on Hidden Object, is facile and repetitious. 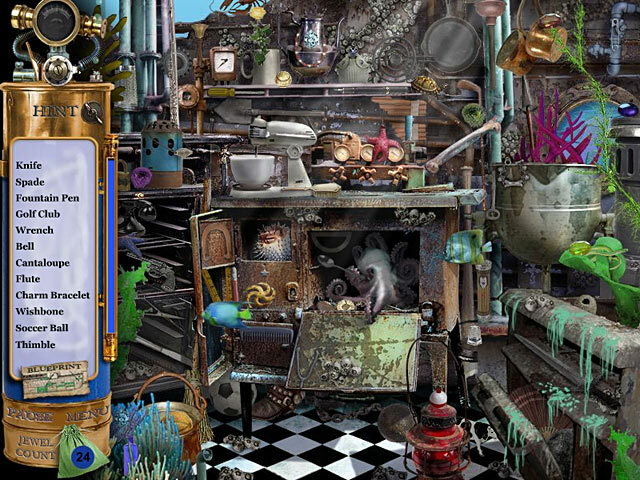 In between every 2-3 Hidden Object screens, you have to solve a puzzle, either dragging rectangles in a "match the background" type of game, or more of the Hidden Object thing with a minor theme. All of these section-ending puzzles were very easy, provided you still had time to finish them! And that's one of my biggest complaints about this game. It seems really kid-friendly, skill-wise, but the timers are so short you find yourself having to repeat screens again and again (as if the game doesn't have enough repetition already!) The final puzzle, on the other hand, was absurdly difficult compared to the overall level of difficulty in the rest of the game-play. After failing several times (and having to repeat 3 more screens of Hidden Object again to get there), I finally looked on the internet for the solution. All in all, the game isn't precisely a rip-off of my game token (or $6.99 if you're paying for it), but neither do I recommend it to anybody! There are MUCH better places to spend your money or codes. Rated 2 out of 5 by godfreygirl from WAY too hard to find objects for my taste I love the HO games, but I also like to relax while playing them. This games has poor graphics IMHO and the objects are way too hard to find. They also don't give you the option of playing in "Relaxed Mode" while getting used to the game and they don't give enough hints. I played the trial version, but found I was more tensed up than relaxed with this one. Also, if you click on the wrong object, they take away some of your time. They should give the option of a none timed mode to get used to the game first. I wouldn't purchase this one at all. Rated 2 out of 5 by iambeautifulbeth from I didnt like it i didnt like it, the levels on it were TOO TOO TOO TOO hard !!!!!!!!!! Rated 2 out of 5 by Handsomeme from A great disappointment! Having played all of the Hidden Expediton games I find this very disappointing. When the Hints are gone, they won't refill after a minute like in the other HE games and on top of that you work under water, so you loose air every time you pick an item, so being triggerhappy you'll loose life and have to start all over. Very annoying really. Wish I had tested before buying.